The meeting was attended by LDA Director General, Dr Ijaz Munir, Additional DG (HQ) Mariam Kayani, WASA Managing Director, Dr Javed Iqbal, Chief Engineer LDA, Asrar Saeed Khan and representatives of the provincial Local Government, Housing, P&D and Finance Departments besides administrators of the nine constituent towns of the City District, Lahore. The meeting was told that this monitory assistance will be in addition to the already given compensation and service benefits, including pension, to these families. Initially a contribution of Rs 15 million shall be made by LDA. Other donors like NGOs, philanthropists and public at large will also be persuaded for contributing to this fund for the betterment of the families of the deceased persons. The affairs of the trust shall be governed by Board of Trustees, which shall include LDA director general, LDA chairman, additional director general (HQ), additional director general (Housing), director Finance, director Administration, LDA, two members from Civic Society and two representatives from the family of the deceased. The meeting also decided to allot plot No I-B-I in township, measuring 22 kanals, to Special Education Department for establishing a rehabilitation centre for the disabled. 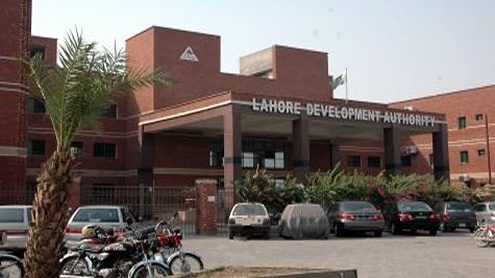 Moreover, in order to avoid any untoward incident, LDA also decided for dismantling of 7th, 8th and 9th floors of LDA Plaza, which had been severely damaged as a result of fire incident for the safety of the remaining structure. LDA has already doubled the amount of compensation being paid to the bereaved families of 24 victims of fire incident at LDA Plaza and has given Rs 1 million to each of these families. A sum of Rs 100,000 has been paid to each of the three severely injured employees while the seven officials receiving minor injuries have got Rs 50 thousand each.